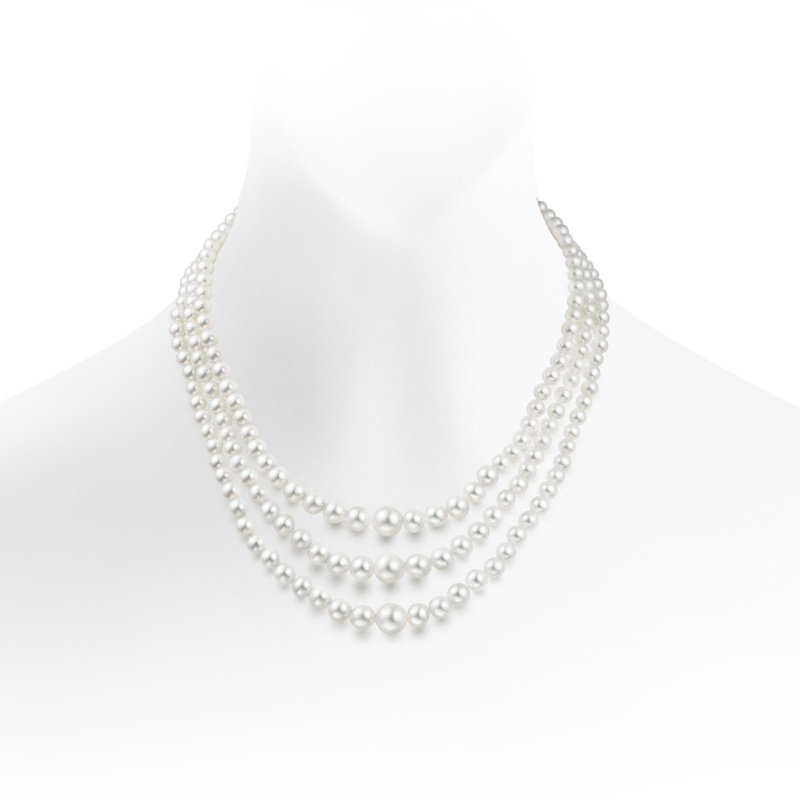 A graduated pearl necklace, from the Classics collection, made with three matching strands of white cultured Freshwater pearls, finished with an 18 carat white gold and diamond clasp. 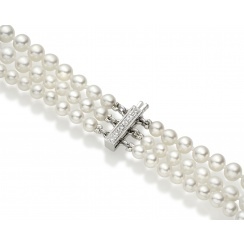 A classic design, this graduated pearl necklace is made with three matching strands of white cultured Freshwater pearls, finished with a white gold and diamond clasp. The vintage style of the necklace echoes much earlier times, when natural freshwater pearls were collected from wild mussels in streams and rivers to adorn the necks of monarchs and ladies of the court. 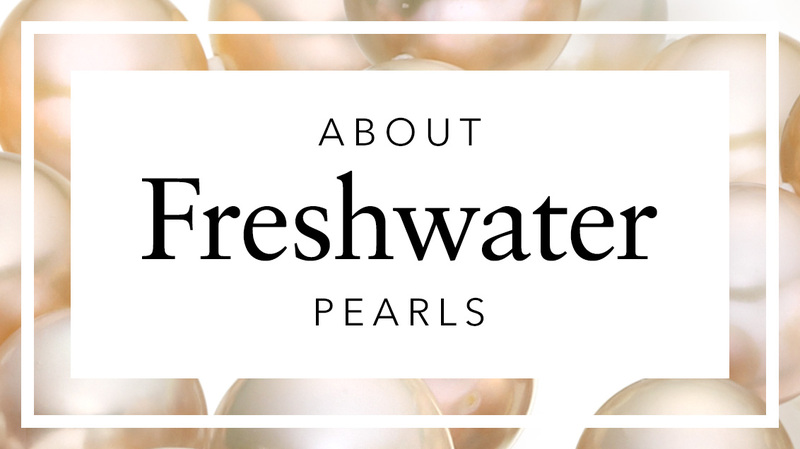 These Freshwater pearls have been selected by Winterson for their quality. 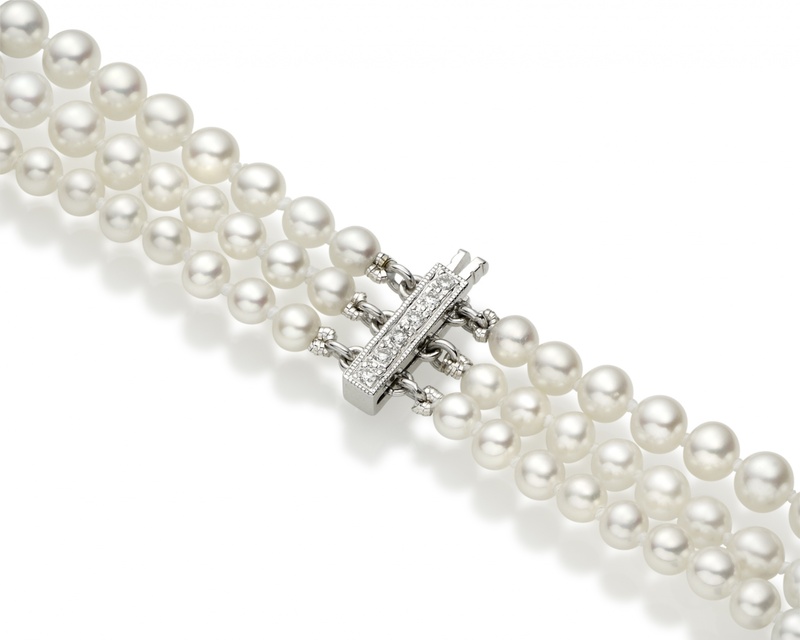 The pearls are graduated in size, measuring between 4mm in diameter at the rear of the necklace to 8.5mm in diameter at the front. 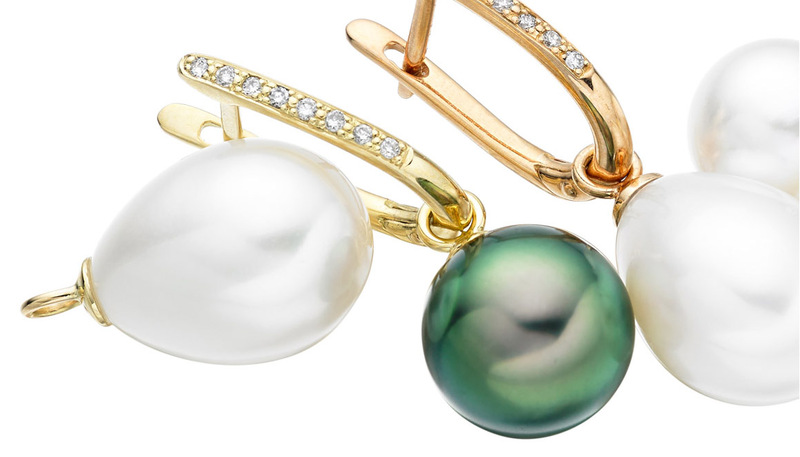 Even as recently as the 1950s and 1960s, most pearl necklaces would have been graduated in this manner and the style will effortlessly work from season to season. 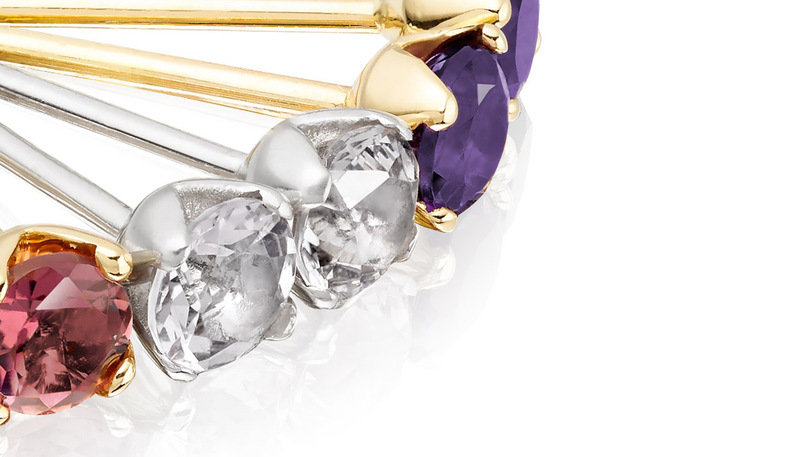 The shortest strand in the necklace is a comfortable choker length of approximately 40cm and the longest strand is a standard princess length of 45cm. 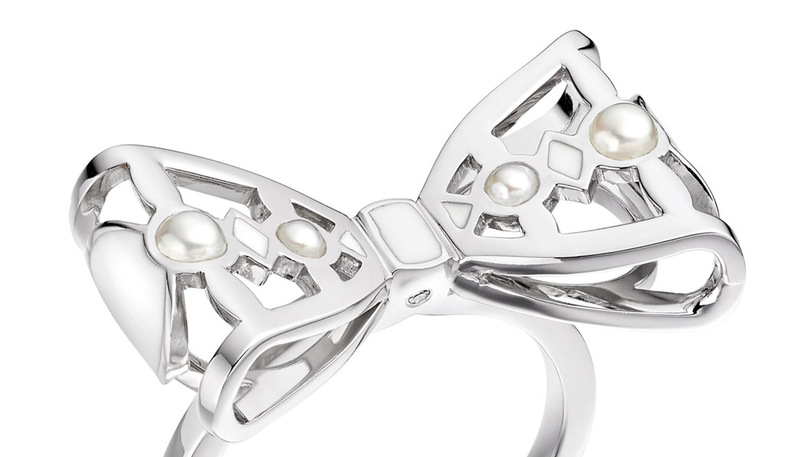 Each strand is tightly knotted by hand between each pearl for safety and gathered into an 18 carat white gold clasp, that is detailed with six diamonds totalling 0.09 carats. Service rating : Friendly, efficient and simple to deal with. Very organised and the no questions return service excellent. 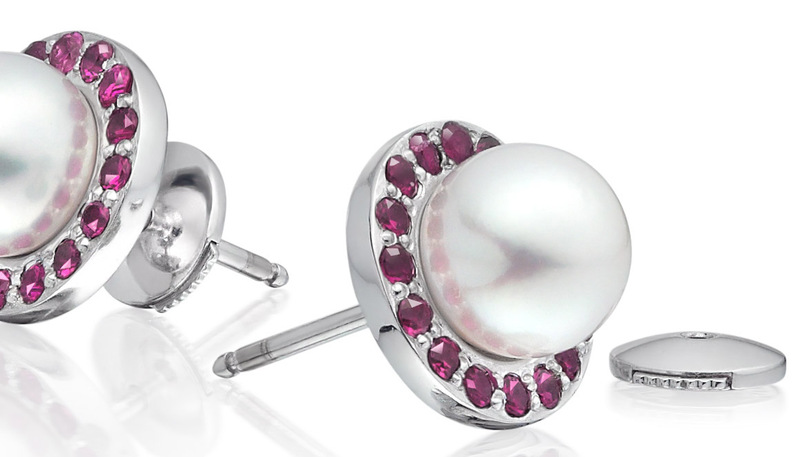 Definitely use again, range extensive and quality. Product : excellent product unfortunately not to my wife's tastes.